REVIEW – Albert Einstein is reported to have said, “Everything should be made as simple as possible, but no simpler.” The idea behind this aphorism is to make something complex as simple as it can be without losing its essence. 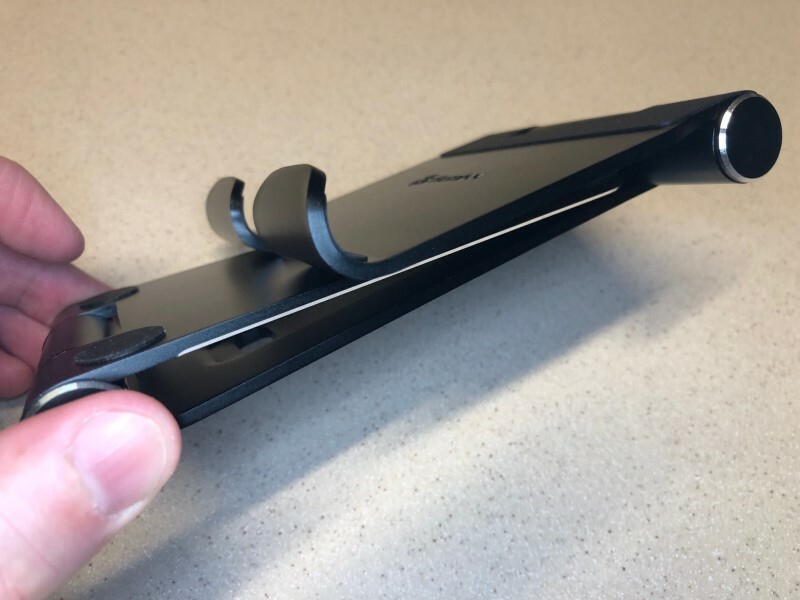 I don’t know whether or not Humixx is an Einstein fan, but they’ve certainly created a tablet stand with a philosophy of simplicity. 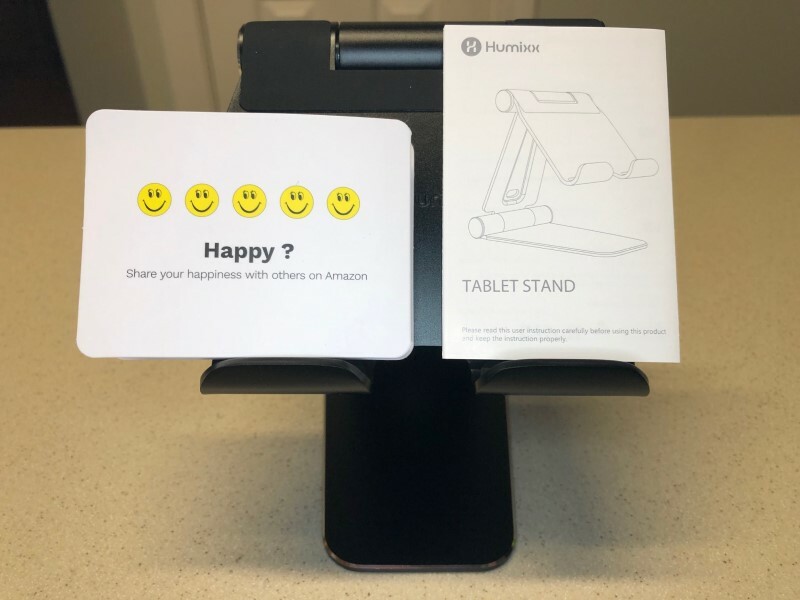 Even the top of the box says, “It is simplicity rather than luxury.” If you’re looking for a simple and yet sturdy stand to hold your tablet or phone, Humixx has a gadget for you. 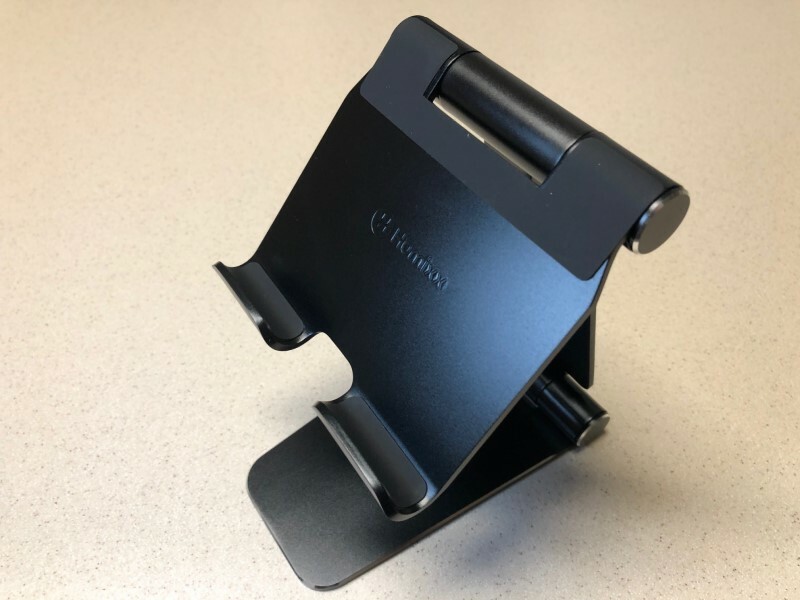 The Humixx Tablet Stand is an adjustable stand for holding your tablet, your phone, and other smallish items. The stand is made of aluminum, thus allowing it to remain light (only 14 ounces) while still being strong. Setup is as simple as it gets. I removed the packaging, unfolded the stand, and I was done! There’s a manual with step-by-step instructions, but I didn’t bother reading it. The customer care card suggests that if I have a problem, I can send an email to their Hotmail address (Hotmail? In 2019?). If I’m happy, they ask that I add a review on Amazon. 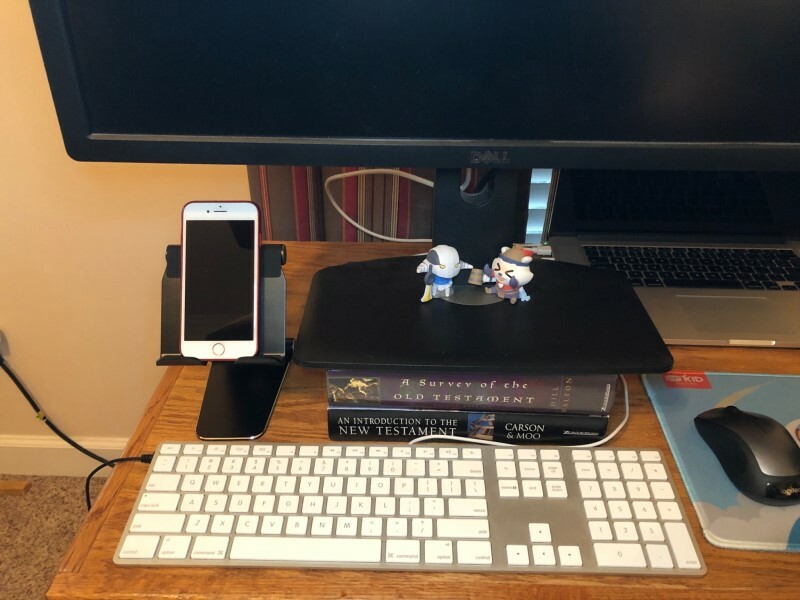 My wife and I each have an iPad and an iPhone, so we take turns using the stand. My favorite place to use it is at the kitchen table. I can watch a Dota match on Twitch while eating messy food that requires both hands, like wings or burritos. I also use it to hold my iPhone next to my computer for those days when I get too many texts while working. My wife uses it in the kitchen but while she’s cooking. 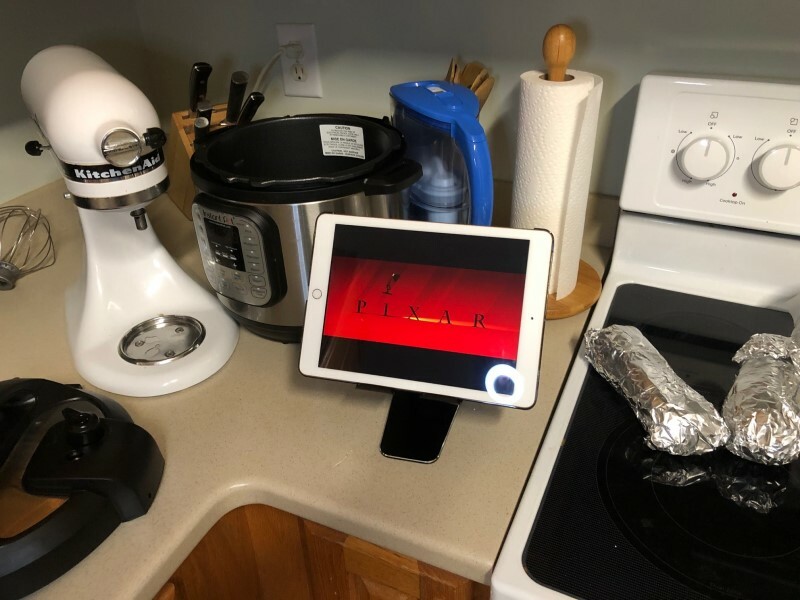 Sometimes she uses with Paprika, an iPad app that displays her recipes, but most of the time she simply has Netflix going with a movie. My wife teaches English as a Second Language (ESL) classes online, and she often needs her iPad’s screen as well as her computer. 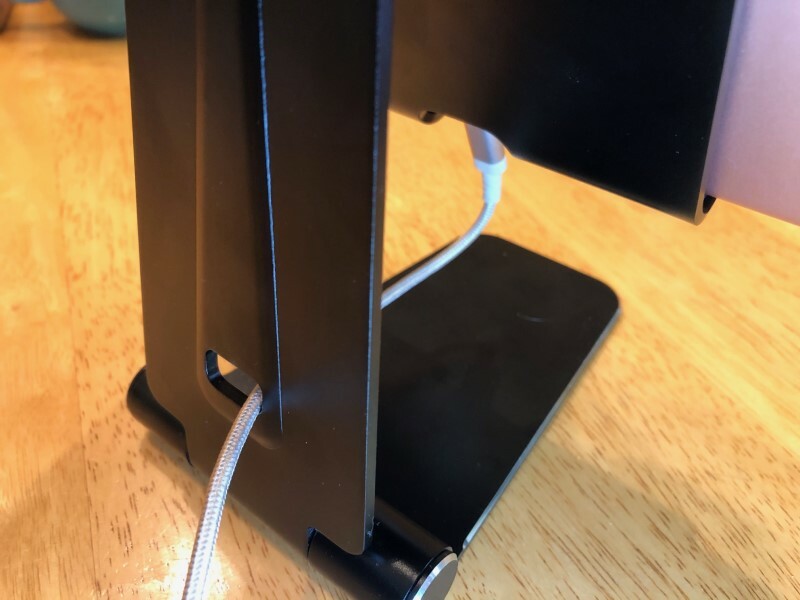 The stand is a perfect way to position the screen for readability. 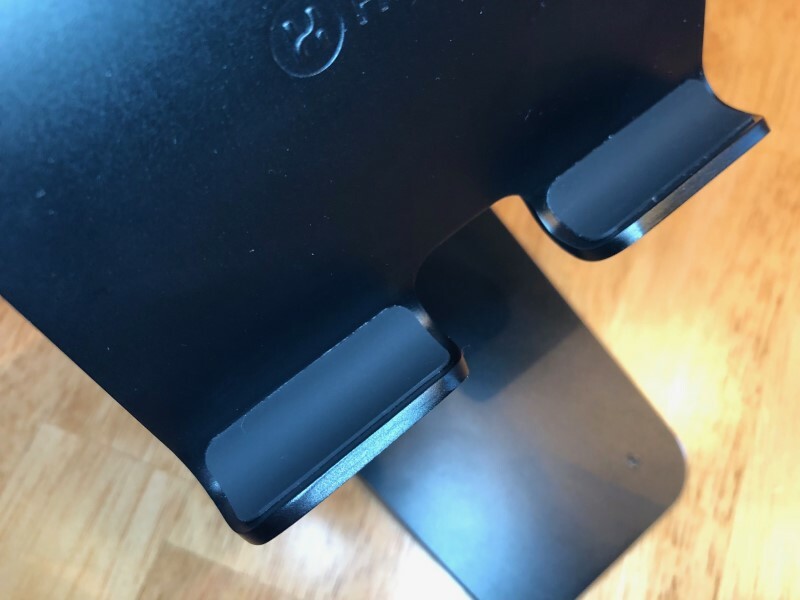 As a bonus, the notch in the bottom of the stand allows for her iPad to be charging while she’s using it. Humixx’s stand folds up nice and neat, perfect for tossing into a backpack when you need to take it with you. It also has a hole in the back of the stand, a nice touch for helping with cable management. 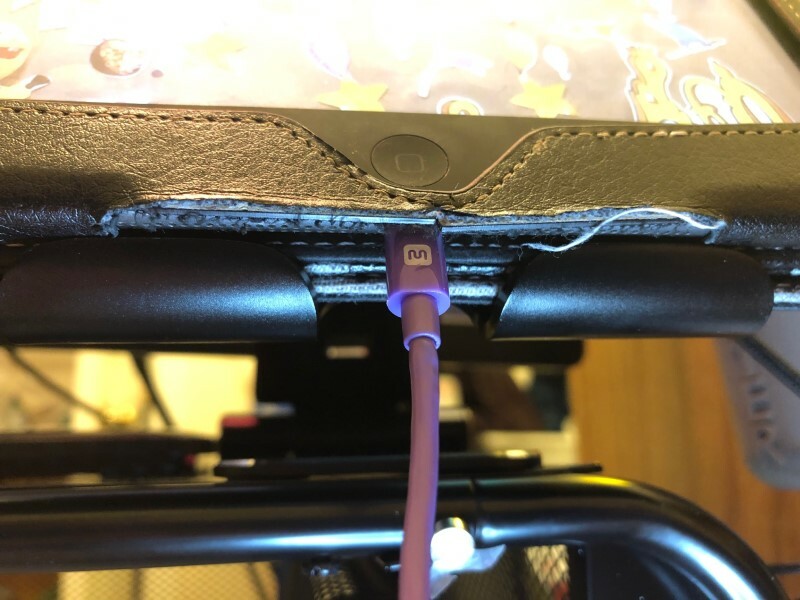 Along the bottom, where it holds the tablet, Humixx has thoughtfully added rubber strips to protect the tablet from getting scratched. This stand does everything that it needs to do without sacrificing anything. I am super happy with it, and I’m certain that it will have a useful place in our home for a long time. Source: The sample for this review was provided by Humixx. Read your review and then ordered one. Very nice stand. Very stable with my iPad on it. A bit over kill for a phone but perfect for a tablet. Thanks for the heads up on the stand. Glad to hear you liked it. It’s certainly continuing to get a lot of use at my house.